Blepharitis is an uncomfortable eye condition where the eyelid region becomes swollen and inflamed. Symptoms can include oily flakes on the eyelashes, stinging or burning sensations in the eyes, and crusty debris at the tips of the lids. Depending on the severity of the condition, some or all of these symptoms may be present. Additional symptoms include itchy eyelids and a feeling of grittiness on the surface of the eye. Doctors know that this exists alongside dry eye syndrome. It is thought to be a precursor to other conditions. It is relatively common, and blepharitis treatment is possible using medications or self-care. It often occurs among people who suffer from dandruff, seborrhea dermatitis, and ocular rosacea. Only your eye doctor can confirm whether you have this condition. 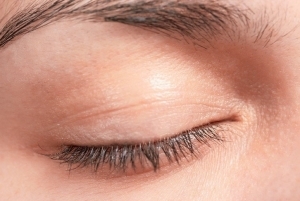 You should seek a consultation if you experience any itchy, redness or inflammation of the eyelids as soon as you can. This condition also sometimes occurs with Pink Eye which is contagious. When you are diagnosed with the condition, your doctor may prescribe you antibiotics. You might also be given a special eyewash preparation to kill the bacteria on the lids which cause flaking, oiliness and crust. If you want to try and do your own blepharitis treatment without medication, ask your eye doctor if this is a viable option for you. If it is not too severe, you may be able to treat it by taking good care of your eyes. Stop wearing eye makeup until the condition clears, and be sure to use warm compresses as needed to relieve discomfort. Your eye doctor can recommend a good eye wash which you should use as directed to keep the eyes as clean as possible. Make sure you use extra care to wash your hands more often. Avoid touching or rubbing your eyes, even though this may be difficult to do because of the itching caused by blepharitis. You can use moisturizing eye drops to help ease discomfort. Ask your doctor for recommendations. Gentle massage of the lids will also make dealing with this condition a lot easier. If the condition does not improve to your satisfaction soon enough, ask your eye doctor or your physician for more advice. You may need to resort to taking a medication in order to clear it up completely. Early treatment is the best way to help prevent this condition from becoming chronic in the future.